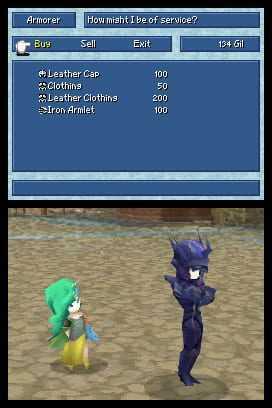 Final Fantasy IV is a remake of the classic Japanese RPG that was first released for SNES, known as Final Fantasy II in the West. Unlike the many subsequent ports (to Playstation, GameBoy Advance, etc. ), this release is a full remake, programmed from scratch with real-time 3D graphics. The characters have a “super-deformed” touch. 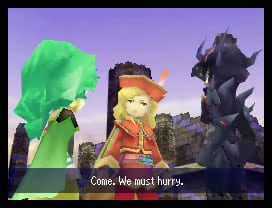 There is also voice acting during cut-scenes. 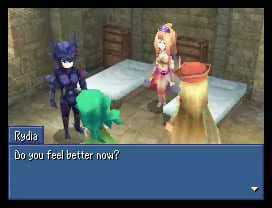 A new option has been added to the menu, which allows the player to read a conversation between party members and receive advice from them. 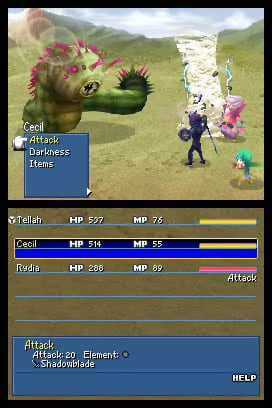 It also features many gameplay additions. The difficulty level has been increased, not only beyond the difficulty of the Western SNES release (which was reduced compared to Japanese original and subsequent ports), but even beyond the original difficulty. The party members are still bound by class, but they can now hunt for so-called “augments”, which can be found or stolen from enemies and which grant the characters additional bonus abilities, resistances, spells that their class would normally not allow, etc. Beside those major changes, there are also plenty of minor additions. 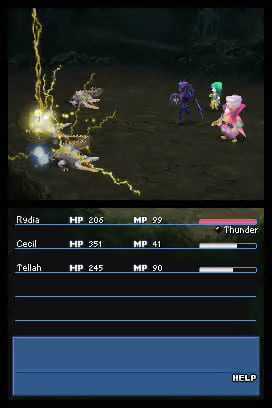 It is possible to obtain bonus items after exploring every corner and filling 100% of an area map; Rydia, the summoner girl, has a new monster summon who can be customized in various ways; there is a new quest involving the “naming” moogle of the original game, etc. Copyright © 2014 - 2019 SocksCap64, All Rights Reserved. Logos, Trademarks, Pictures Belongs To Their Respected Owners. Powered By WordPress. 102 Queries in 0.555 seconds.